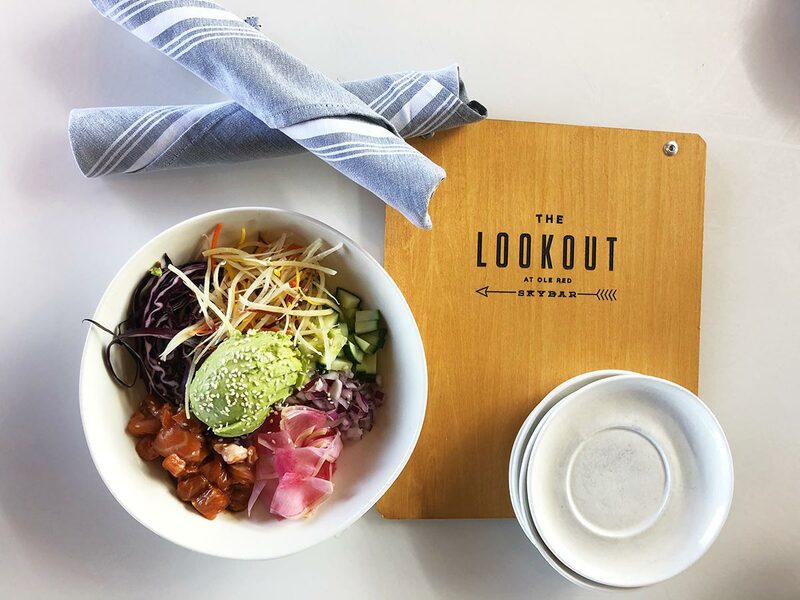 Ole Red and The Lookout at Ole Red have rolled out new dishes this season, ranging from a mile-high twist on grilled cheese to salmon poke. You know what they say about “too much of a good thing.” Well, forget about it. Around here, too much of a good thing is a great thing, manifesting itself in Ole Red’s Warm Pimento Cheese Artichoke Dip, a surprising blend of two essential party foods. The pimientos in the gooey cheese add a touch of spice, complementing the slightly tangy artichoke. 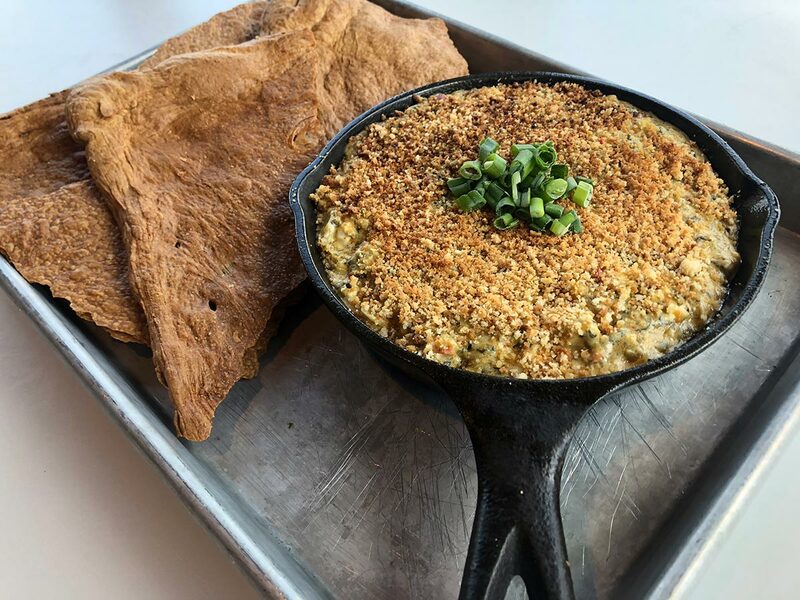 Served alongside crispy house-made lavash crackers, this dish is the perfect pre-gaming snack to enjoy while you Tailgate at Ole Red. South Texas cowboys love their borracho beans, which probably has something to do with the fact that pinto beans get more than a splash of beer (borracho means “drunk” in Spanish) when stewed in a blend of spices, tomato sauce, and brown sugar. 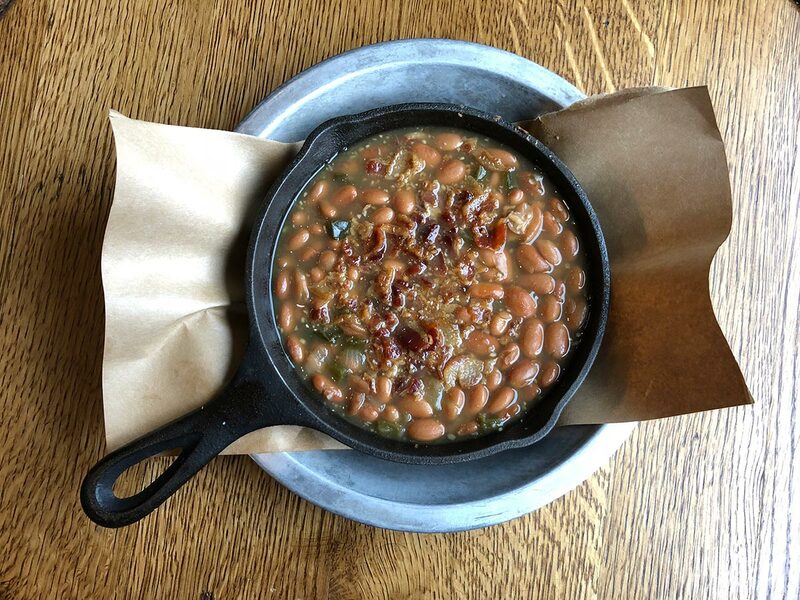 Served in a cast-iron skillet, Ole Red’s Hammered Beans are next-level; each batch gets a whole case of Bearwalker, a maple brown ale from Nashville’s Jackalope Brewing Company. That escalated quickly. The beer’s maple notes provide the beans a touch of sweetness that cuts through the spice. Ole Red has gone and done the Impossible: making a completely vegan cheeseburger that tastes downright sinful. 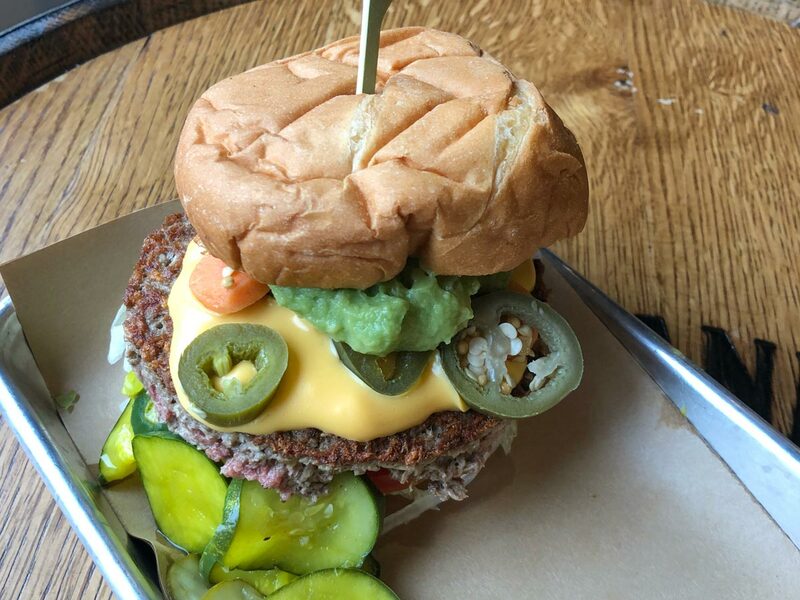 An Impossible Burger patty, which has received buzz for how much it tastes and looks like real meat, is flanked by two house-made potato buns and topped with oozing vegan nacho cheese. Also welcome to the party: our signature avocado smash, pickled jalapeños, and the ever-faithful trio of lettuce, tomato, and onion. Your meat-loving friend won’t know what hit him. 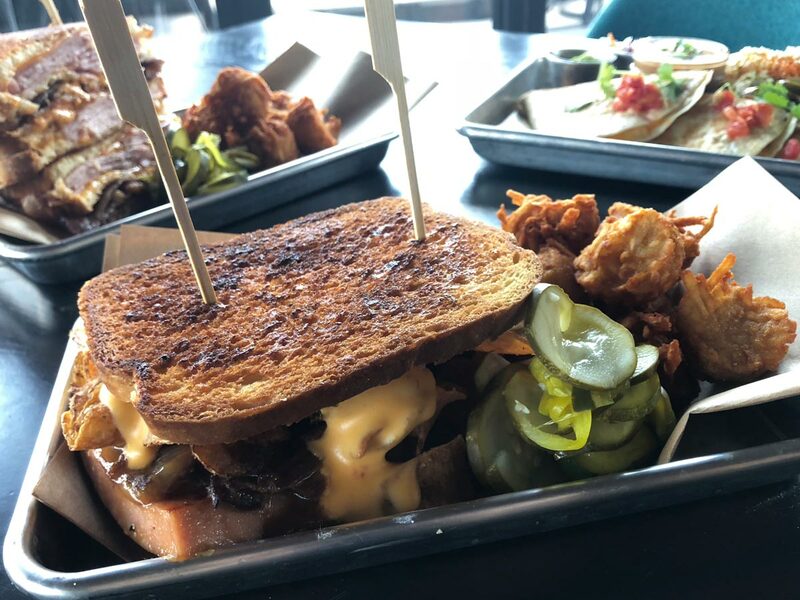 This in-your-face sandwich comprising thick-cut bologna, cheese sauce, and fried onions will make you the envy of your tablemates. The clincher: The Pig ‘N’ Cheese is topped with a heaping pile of house-made potato chips, the same treatment you’d apply to all your lunchbox sandwiches as a kid. Just as your taste buds appreciate the savory bologna and crunch of the chips, they’re hit with the sweet and tangy flavors of Ole Red’s own version of Mucky Duck Mustard, a pub-style condiment with a cult following. This monster sandwich isn’t here to play. 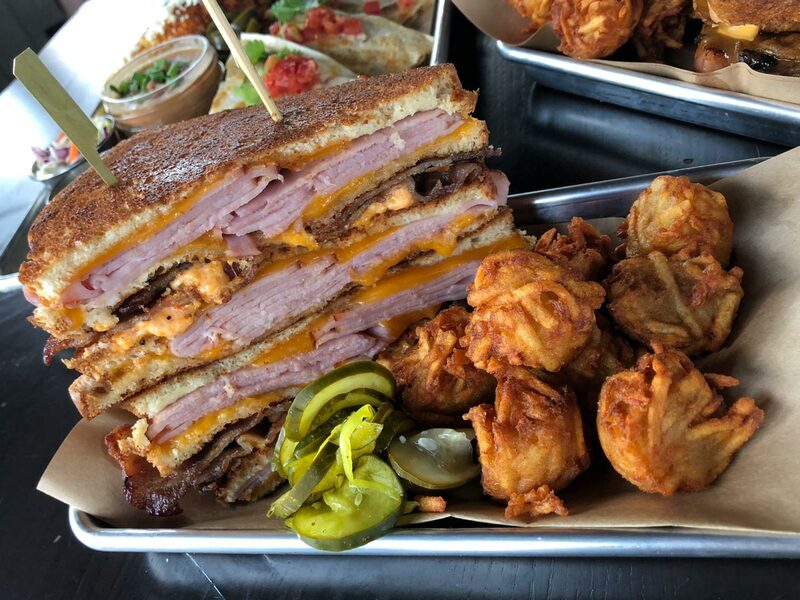 Layered with bacon, pit ham, caramelized onions, and honey mustard, the Double-Decker Grilled Ham ’N’ Cheese will leave you feeling full and ready to take on whatever Broadway throws your way, like a surprise pop-up performance from Blake Shelton. 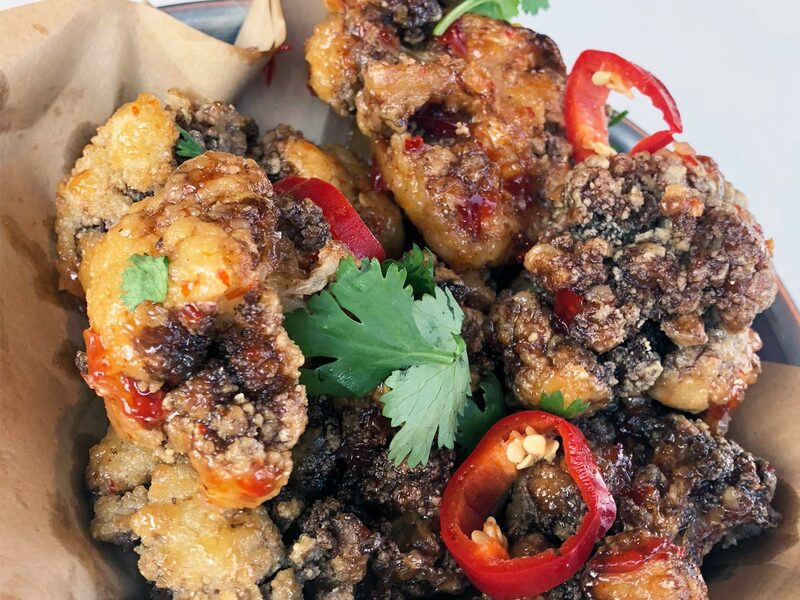 Wings are great, but if you’re looking for something a bit healthier — you know, just so you can indulge in Ole Red’s Absolutely Obnoxious Lucky Charm Sundae — chili-fried cauliflower is where it’s at. Fried and tossed in a sweet chili glaze, be prepared for this shareable side to be devoured by friends in an instant. Get on it. 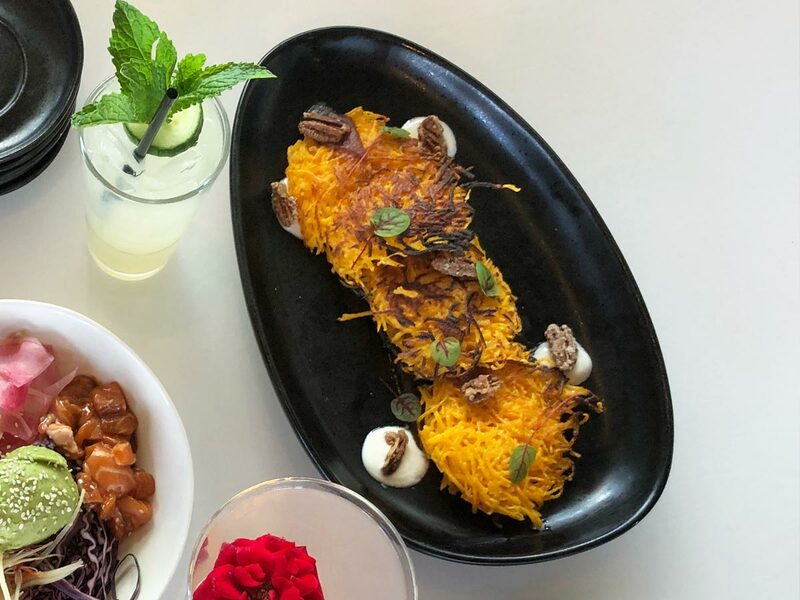 The beloved potato pancake is turned on its head at The Lookout at Ole Red, combining all the favorite flavors of fall. Shredded butternut squash takes the place of potatoes, making these latkes just a smidge sweeter. Crispy on the outside and soft on the inside, they double as hand warmers as you dip them in bourbon-maple apple butter. Take that, applesauce. Sprinkled with pecans, this dish is a sneak preview of holiday meals to come — minus the awkward conversations at the Thanksgiving table. Betcha never saw a hummus plate with pork rinds on it. Dusted in a combination of Ole Red’s own cool ranch seasoning and hot chicken spice blend, these zesty pork rinds have gone where no pita has ever gone before. But what to dip them in? An old-school gas station snack, boiled peanuts replace chickpeas, resulting in a savory, creamier hummus. 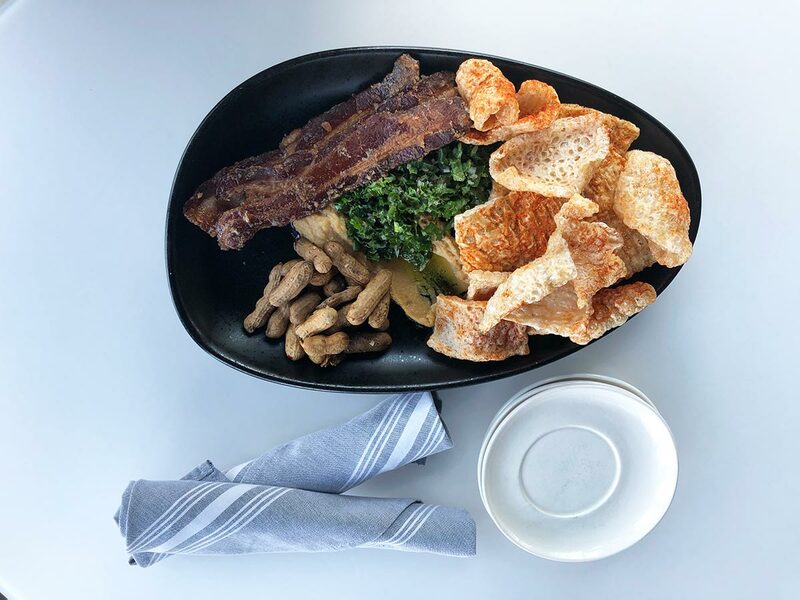 For extra measure, each plate gets served up with irresistible thick-cut candied bacon, cured by Nashville’s own Gifford’s Bacon. Diet can start tomorrow. We’re living for today. 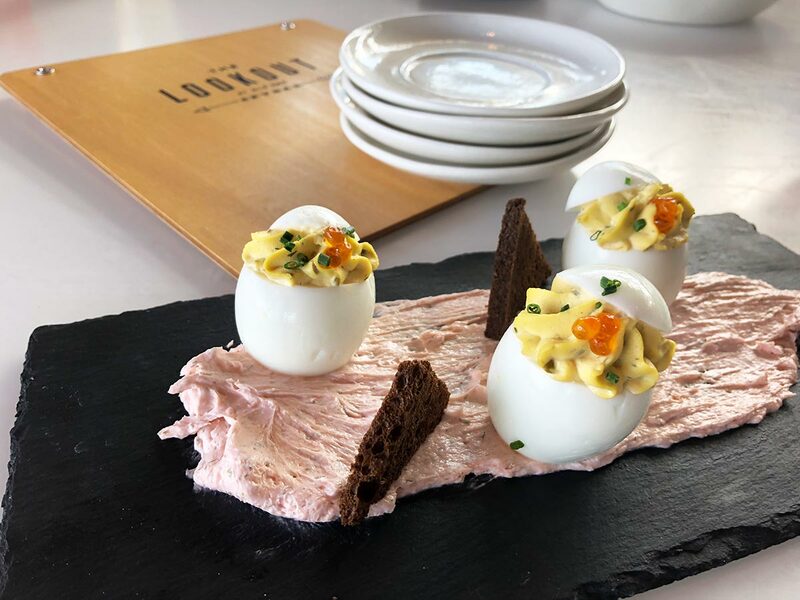 No offense to Grandma, but we like these deviled eggs from The Lookout better. A fusion of a Southern picnic staple and a lox bagel, capers and red onions are added to the egg filling. Eggs are served with a smoked salmon spread and pumpernickel toast points. October’s cooler weather makes it the perfect time to enjoy lunch in the open air on the rooftop. Opt for a fresh poke bowl, packed with colorful vegetables served over rice. What makes the dish is the sushi-grade salmon that’s marinated in a bourbon barrel-aged soy sauce. Even the fish are itchin’ to have a little fun around here.